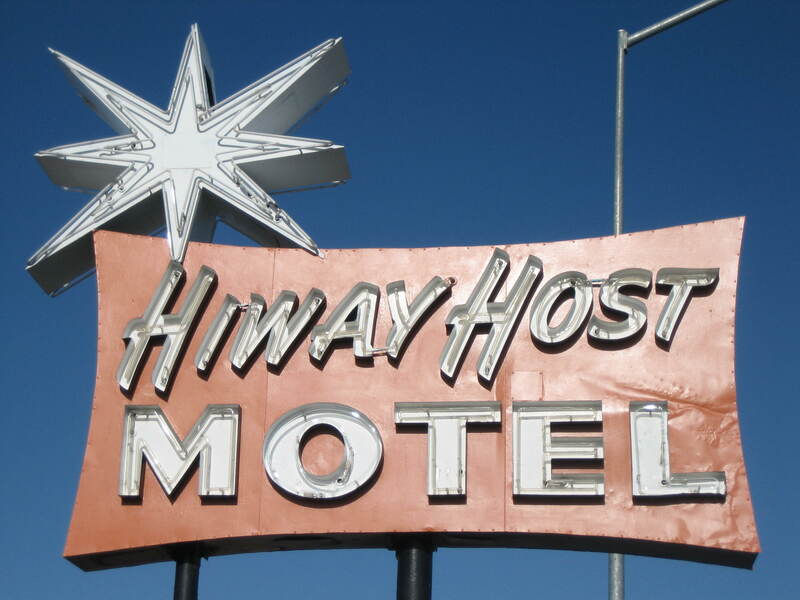 The Hiway Host Motel sign on Main Street in Mesa, AZ. [I]t was probably more important [than the other, more famous, named highways mentioned above] because it was an all-weather, all-year route that was dependable to transcontinental travelers. 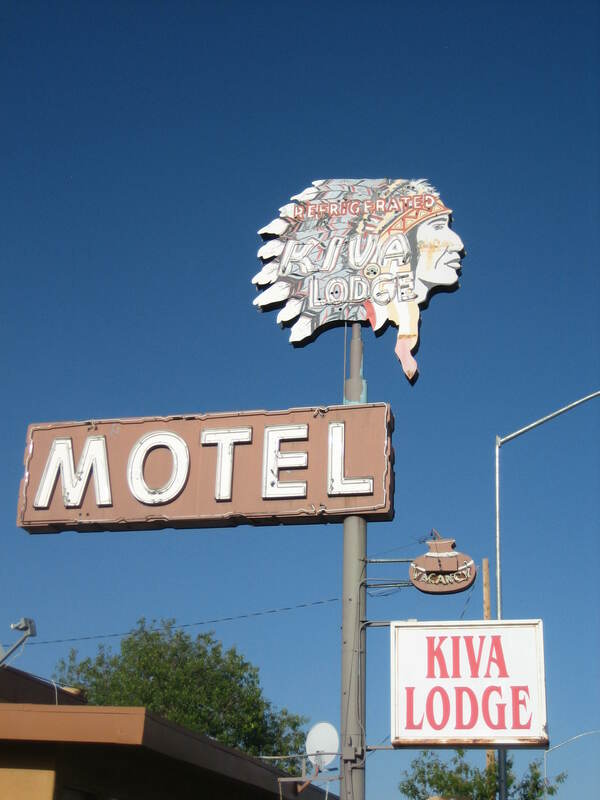 Low weekly rates and kitchenettes at the Trava-Leers Motel probably appeal to the modern clientele on Mesa’s Main Street. US 80 was a particularly long highway, reaching almost 500 miles (800 km) long within the state of Arizona alone. With the advent of the Interstate Highway System, Interstate 10 and Interstate 8 both replaced US 80 within the state. US 80 was removed from Arizona in 1989; the remainder of it now being State Route 80. 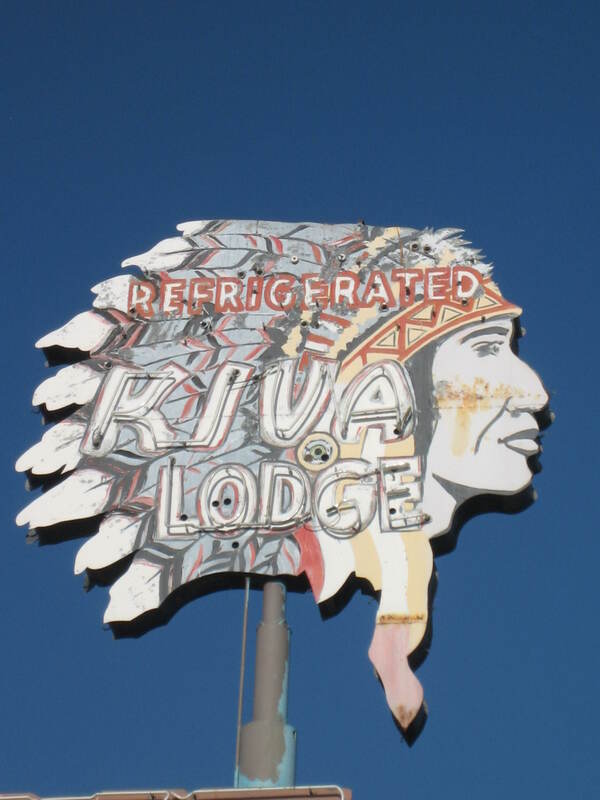 The folks who named this hotel and designed the sign didn’t know–or didn’t care–that kivas are used religiously and people from the Pueblo tribes don’t wear feather headdresses. From quite a distance, you’re traveling in your car, you’re tired, you want to stop for the night or get something to eat. These signs pulled you in. They were like beacons in the night. They are emblematic of the classic automobile age in America, [t]hat mid-century modern highway culture that just doesn’t exist anymore. 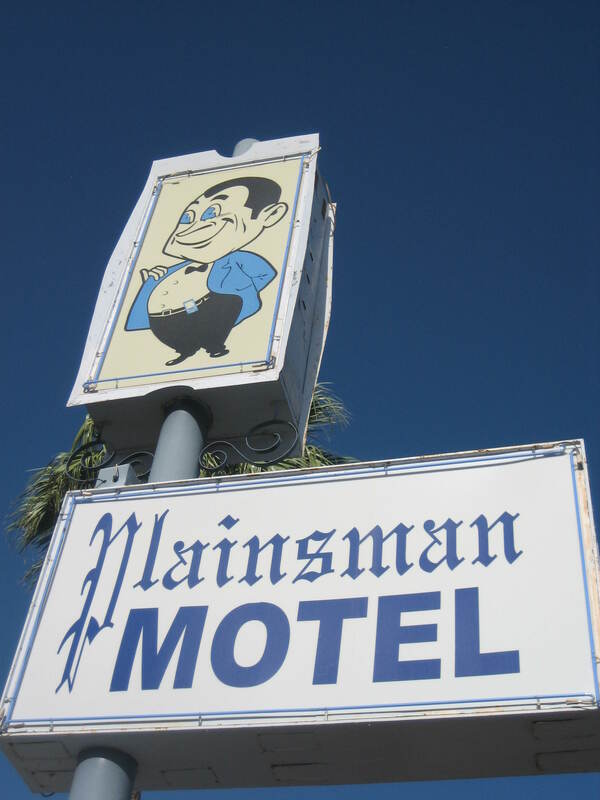 Not all of the old motels on Main Street have neon signs. Maybe some of them never had neon and simply relied on their competitors’ signs to draw enough people into the general area. There were probably enough drivers passing through to ensure every business got a piece of the pie. Some neon signs have been lost to the ravages of time. At least a couple of the motels lacking cool signs still boast cool architecture. This photo shows a view of the Citrus Inn. There are parking spots for cars between the rooms. 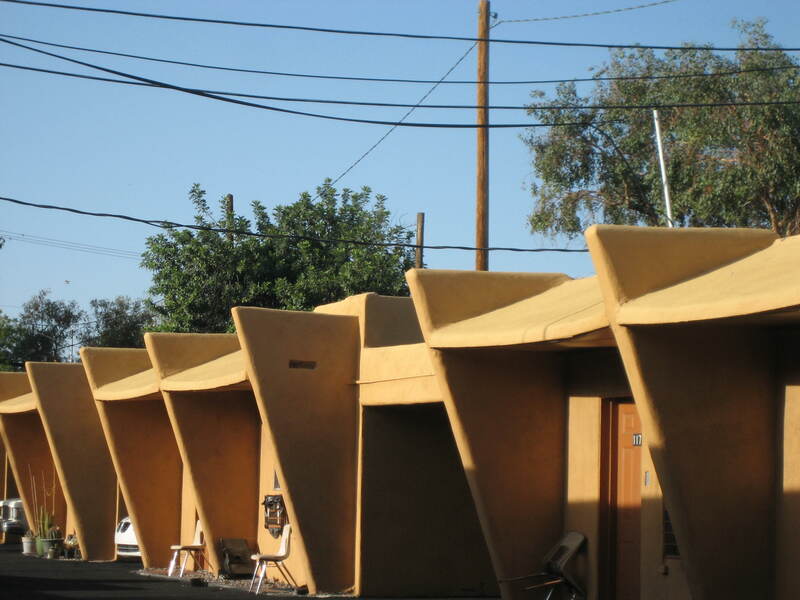 The Citrus Inn has a really boring, modern sign, but its architecture is old-fashioned cool. I particularly like the motels with parking spaces between the rooms. The Citrus Inn is designed this way. The open space between the two rooms is big enough for two cars. A covered parking area is a huge luxury for anyone whose car would otherwise be pounded by the Arizona summer sun. I think this photo shows the Kiva Lodge, but I’m not positive. 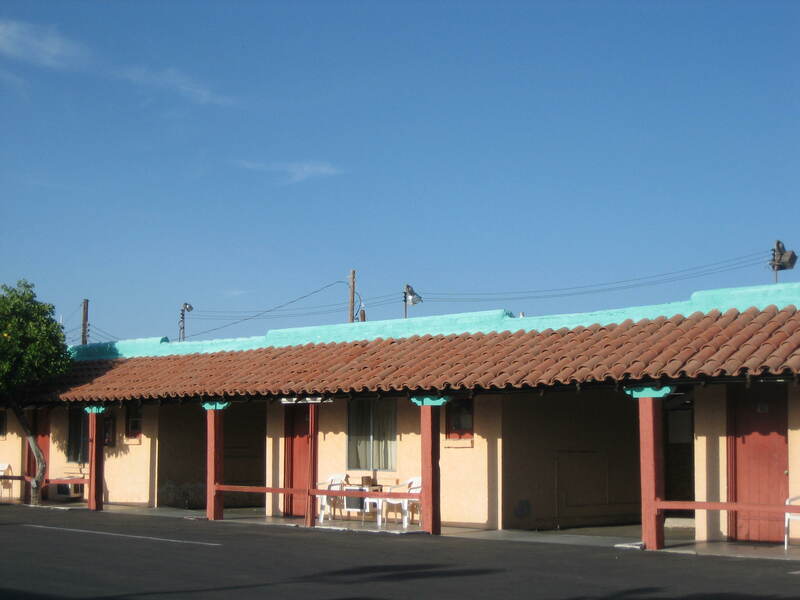 In any case, it’s another example a motel with covered parking next to the rooms. I also like the turquoise accents and the red Spanish tile on the awning. 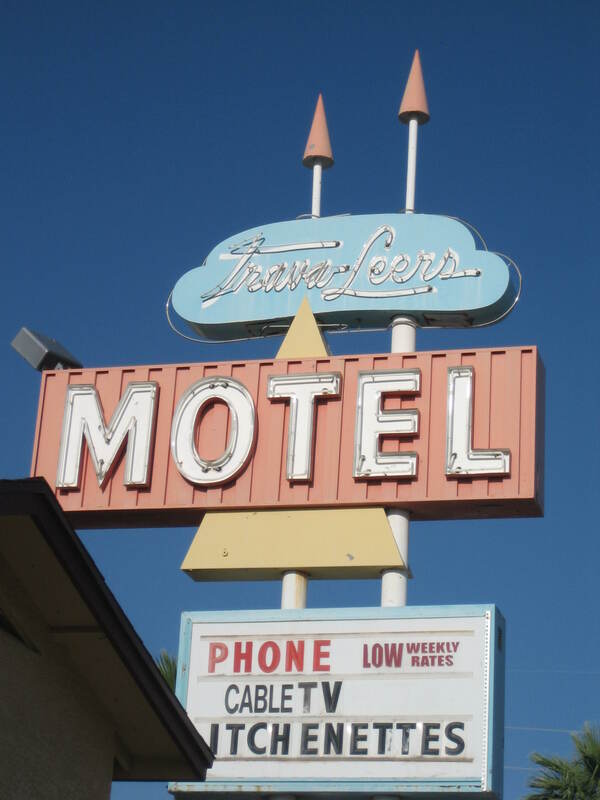 The motels of Mesa and their signs are part of Arizona history and U.S. history too. They are relics of a time before motel chains, when each motel on the road was part of a unique travel experience. Well, they used to be, thirty years ago, but not anymore. Now they’re loaded with bedbugs and the normal-volume (and louder) conversations outside your door all night tend to keep a person awake. And they may break into your van. Their main (and perhaps only) value is for their showers, and it’s cheaper (and probably cleaner) to buy a membership in a widespread chain of gyms.